by beth.shaver.In Helpful Links, Wisdom.11 Comments on Looking into Getting the ExoSym? Happy Friday Everyone! I’ve received quite a few emails from people looking into getting the ExoSym and because many of their questions are similar in nature, I figured it would be a good topic for today. If you have an ExoSym (IDEO) device, feel free to add in your thoughts as well! Q1: Is the ExoSym comfortable? Yes! It actually really is comfortable. 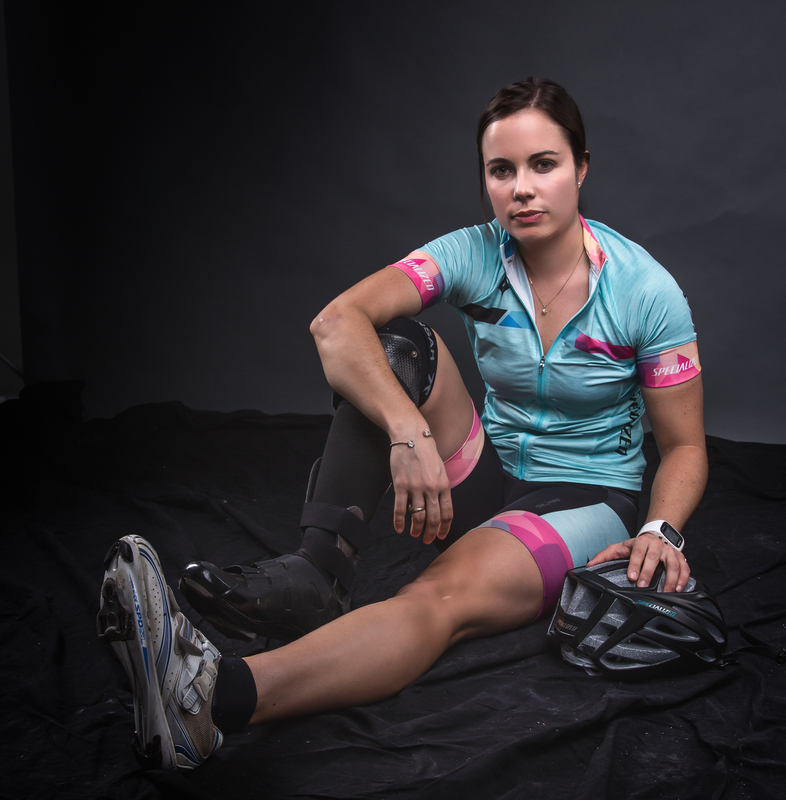 The device is molded to your leg so it fits like a glove. Q3: Is the test device a good indicator of how the actual device will feel? Yes and no. Understand that the actual device will be made of carbon fiber and much, much stronger than the test device — but the test device (which will be custom molded to your leg) will give you a good indication of whether the actual device will work for you. I knew after trying on the test device that it was going to change my life. Q4: Is it worth the cost if my insurance doesn’t approve it? For me, absolutely x100. This device changed my life and I would be on an entirely different path if it wasn’t for the ExoSym. To live without chronic pain is something you just can’t put a price on. If the device works for you, I would recommend doing everything you can to get it. Note: I don’t know much about the insurance side of things so can’t be a good speaker for that, but I’ve met several patients whose devices have been covered by their insurance. I think it depends on each person’s injury / condition and their insurance plan. Q6: Is running in it hard? It’s different. Since the ankle is locked in place in the device, running is not necessarily harder in it, just different. Before my injury, I used to be a more long-strided runner, but in the ExoSym, it helps to take quicker steps (I strive for a 90 cadence). I learned to run in the device fairly quickly during the physical therapy — it came pretty naturally to me and it’s my favorite thing to do. I’ve even placed in races against uninjured athletes and oftentimes I place at the top in my workouts at my gym (& I am only sharing this to help you see that the device is that incredible! 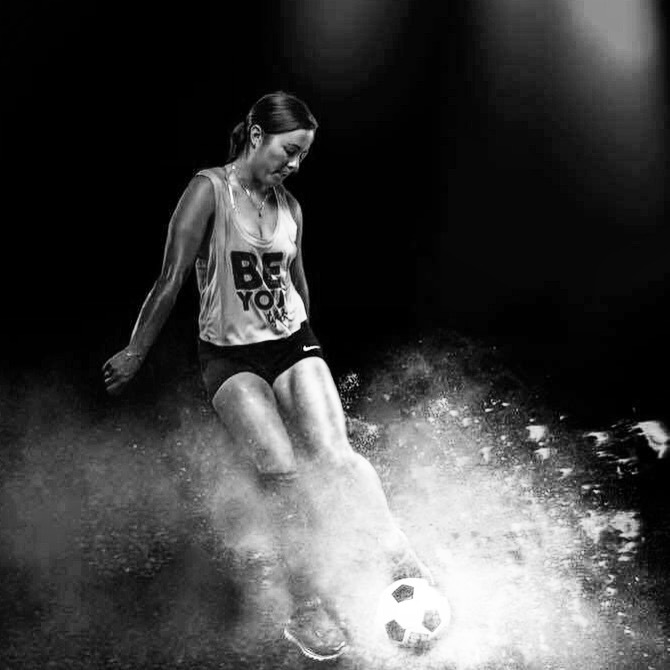 What you put into it, you get out.). Q7: Can you drive in it? Yes, my device is on my right leg and I have no issues driving with it. Q8: Do you wear it all the time? Yes, just mainly take it off to shower and sleep. Do you ever sleep in it? Occasionally. I used to more when I first got it, but not as often anymore. Q9: When I travel to the clinic, where should I stay? There are a lot of options of places to stay in the cute little town of Gig Harbor, WA. I personally enjoy staying at the Best Western Wesley Inn because of the close proximity to the clinic, free continental breakfast, friendly staff and 24hr coffee (#ineedcoffee) but I know others have done airb&b or the Inn at Gig Harbor. I believe the Hanger Clinic has a more robust list of accommodation options in the area so once you get closer to making your travel arrangements, make sure to check with the clinic to get a larger encompassing list (& discounts for local hotels). Gig Harbor is a beautiful town with really friendly people – I love it there. Every time I return for a visit to the clinic I feel like I’m going back to my home away from home. Q11: What should I bring? As mentioned above, you’re definitely going to want to have athletic clothes for the physical therapy as well as for the fitting of the test device (shorts, tshirt, etc). Q12: Should I buy new shoes before I go? You may want to wait on buying new shoes until after you are fitted for the device. You’ll want to see how the device fits into your current shoes. That being said, if you have athletic shoes, make sure to bring or wear those when you initially come so that you have something to start with. Once you get your device, the Hanger Clinic will give you advice on shoes and places to shop in the area. (My personal favorite — South Sound Running!). To add to this, I would wait on buying compression socks too. Ryan will give you some to start with so no need to buy a bunch before you go. Q14: What about repairs to the device? How does that work? Even though I live out-of-state, I travel back every now and then to the clinic to get things worked on (I’m a bit extreme on my activity level & I like visiting the clinic ☺) but you can also mail your device if anything ever needs to be fixed (I use UPS). The great thing about becoming a patient of the clinic is that it’s not like you get fitted for the device and they tell you, “Bye, good luck!”. When you get your device, you are a patient for life and the clinic is only a call/text/email a way if you ever have a question or concern. Ryan himself is an incredibly dedicated person and he definitely goes above and beyond to help his patients. The Hanger Clinic is in it with you for the long haul — and they are dedicated to helping you succeed. I’ve never met more caring and passionate people. Q15: How do I start the process of trying to see if the ExoSym will work for me? Will my insurance approve the device? I would start by contacting the Hanger Clinic to tell them about yourself and your condition. They will be able to help you with your questions & next steps. Q16: How can I get connected with other ExoSym patients? Join the ExoSym / IDEO Facebook group or follow me on Instagram @exosymplyamazing where I highlight ExoSym patients doing #exosymplyamazing things! Q17: Is the ExoSym available in the UK / outside the USA? 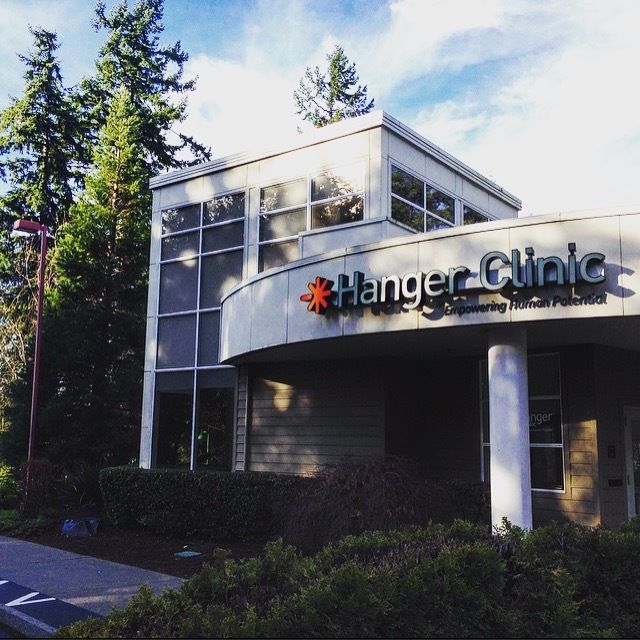 As far as I know, the ExoSym is only provided in the USA at the Hanger Clinic Specialty Center in Gig Harbor, WA. Q19: Now that you’ve had the device for nearly four years, if you could go back in time, would you make the same decision to get the ExoSym again? 10000000x yes. Thanks for your blog. Next week we (my husband & I) are flying from Southern, CA to WA to get my ExoSym. I hope to be able to things I’ve never been able to do before. I have Fibular Hemimelia + congenital famously deficiency. 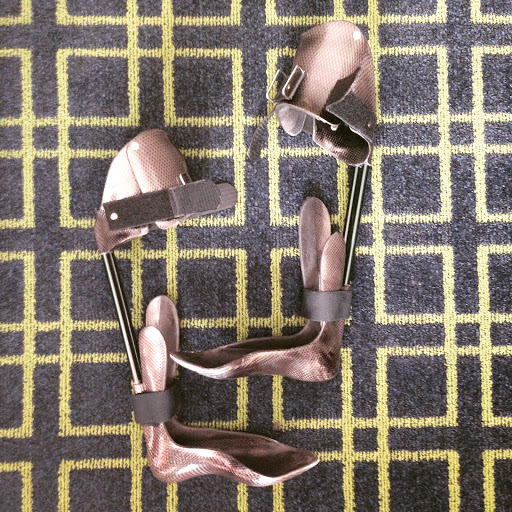 Will the ExoSym work if the patient is an above the knee amputee on the contra lateral leg? Will it works with snow boots? I live in a ski resort 4 months of the year. hi barb! i haven’t personally gone skiing with my exosym yet (although i plan to at some point!) but i know other exosym patients who have — so yes, it is possible! Thank you so much for putting this up. I wiped out on a Harley in 2013 and just heard about these Exosym braces. I am paralyzed incomplete in both legs and I am going to try to make this happen. Hi, happy to find your useful thoughts on this device. It could be a life saver for me. Can you please give me a rough guide to its cost, what price range are we talking about here, very roughly?